It was a dark Friday afternoon and the Romans were again proceeding with the execution by crucifixion of 3 men they had determined were a danger to Pax Romana – or the imposed “peace of Rome.” Two of these men were “bandits,” which is the term the Gospels use to refer to those who are insurrectionists or, we might call them, terrorists. The other man was Jesus of Nazareth, a prophet who many had proclaimed as Messiah. Messiah means King to the Romans, so he was to be dispatched for there would be no Kings in Palestine except Caesar! The method of execution to be used would be crucifixion. Now, crucifixion had become a standard and we might even say favorite method of dealing with insurrectionists and troublemakers during the Roman occupation of Palestine. The Romans crucified literally thousands upon thousands over the years of the occupation. One historian – Josephus - recounts that after the sacking of Jerusalem by the Romans in AD 70 the countryside was littered with the crosses of crucified men. I will spare you the gory details, but suffice it to say that it was not a pleasant way to die. 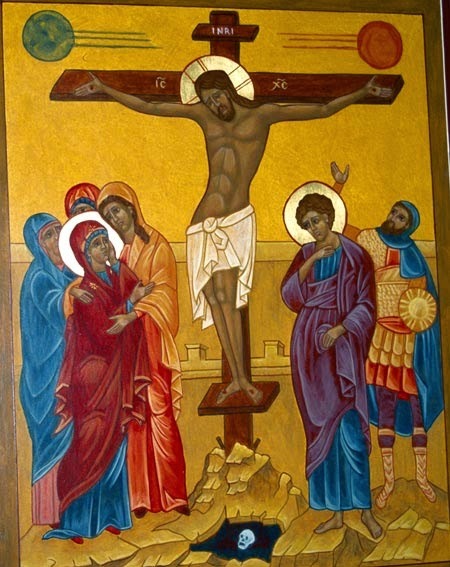 For the Romans, public crucifixion was effective because it maximized the pain and suffering and this then sent a message loud and clear – “Don’t mess with us!” If any of you saw the Mel Gibson film a few years ago you will remember how the crucifixion of Jesus was depicted. Crucifixion meant extreme pain, suffering, humiliation and degradation. The point was to terrorize the population into submission. If you were planning to oppose Rome this method of execution might give you pause in order to reconsider. To the peoples of Palestine living during the Roman occupation during the time of Jesus the cross inspired terror and fear and symbolized a horrible death. Everyone knew this. So with this in mind we can understand why the reaction of the disciples was less than positive when Jesus starts talking about being crucified and picking up your cross and so forth. Jesus tells his disciples in no uncertain terms that he will be going to Jerusalem to be crucified and tells them that they are to pick up their cross and follow him. The disciples are horrified. “Are you kidding me,” Peter reacts, “God forbid! May it never be.” We sometimes are a little critical of the disciples and especially Peter for this reaction – but can we blame him given what crucifixion meant at that time. Turn it over, turn it round, raise the humble and free the bound, down means up and up means down – this world looks different to ya when you’re flying upside down! 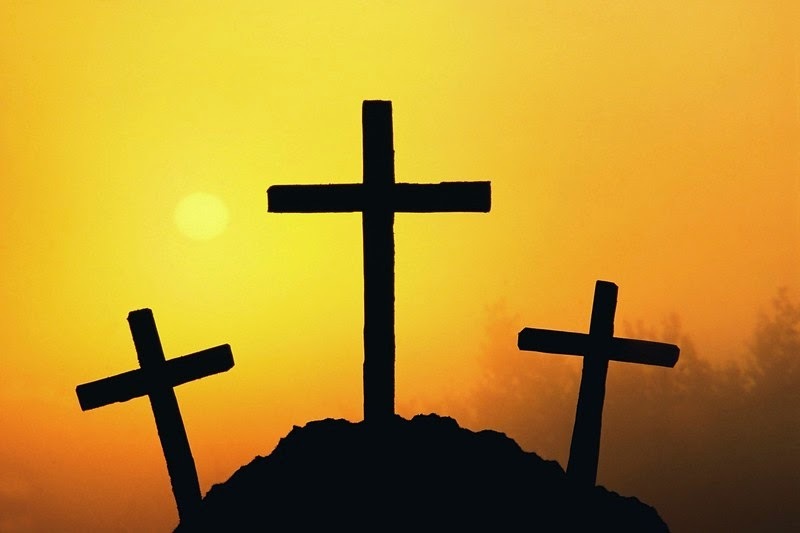 To the world the cross means pain suffering, humiliation and death – but God transforms this – God turns it upside down – because of Jesus the cross means forgiveness, grace, love and life – abundant and everlasting life! Let me repeat this – God takes a hated and feared symbol of death and subjugation and turns it into a symbol of love and life! Amazing!!! Our God is an Awesome God…. I think we sometimes still may hear those words like the disciples did. Sometimes I have heard people talk about this or that struggle in their lives as being their “cross to bear.” What they and we need to understand and accept is that this in only the first half of the story – the other part is God’s surprise: the cross we have to bear is Love and grace, which is showered upon us no matter what. God’s presence is with us at all times no matter what. And God’s call to us is for us to show this forth in our lives and ministry. We all live under the shadow of the cross of love; we all have been signed and sealed on our foreheads in Baptism with the cross of love! But we humans have a hard time accepting this. We like things to be in a neat organized box; we like to think we have God figured out. And earning God’s favor or climbing the stairway to heaven is more logical for many of us. It was during Martin Luther’s time too. As a young Augustinian monk Luther had the opportunity to go on a pilgrimage to Rome. While he was there he did all the usual pilgrimage things: he visited and adored the various relics such as pieces of the true cross of Jesus and he ascended a special staircase on his knees. All of this was believed to bestow a special blessing. But it left Luther feeling incomplete and unfulfilled. It just didn’t seem to him that adoring pieces of the true cross of Jesus was all that useful and besides, he later wrote, if you assembled all the pieces of the “true cross of Jesus” in one place it would provide enough wood for a forest. As he reflected on this experience later he concluded that being sealed by the cross in baptism was all the true cross of Jesus that was needed - because that cross meant we are sealed in God’s love and grace. So then what are the implications of this for us and our lives? We live in the shadow of the cross of God’s love; we have been sealed by the cross of love – what does this mean? It means it is our call to love as Christ loved us. It is not up to us to assume we have God all figured out and that God does things the way we expect or even like. Always remember - God likes surprises! It is not up to us to judge others and expect others to fit inside some orderly box we create. God’s job is judging - our job is loving and finding ways of sharing this love with others. It means that we are called to participate in and support the ministry of love of our church – the wider church, this parish and this congregation, and it extends into our daily lives as we encounter others in the course of going about our regular lives. It means that we are called to participate and support the ministry of love through our giving of our time, talents and treasure. It is not an option – it is a calling that comes from living in the shadow of the cross.